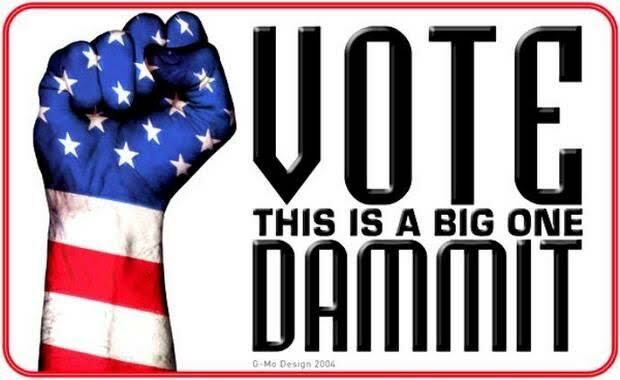 Vote Dammit! Is it possible to care about LGBT Asylum Seekers and not vote? Is it possible to care about LGBT asylum seekers and skip voting in this election? I’m talking about people who are eligible to vote in the November 8th US election, of course. If you are not registered to vote yet, do it NOW. In some states, your registration has to be received at least 30 days before the election, which basically means this is your deadline. Stop reading now and register to vote. Then come back. Please. In about a month, the American people will elect a new President and Vice President, as well as about one-third of all members of Congress. The Federal government – run by those people – is responsible for what the United States does globally, whether people can get into the country, and how immigrants are treated once they get here. They also appoint judges who make the key decisions about asylum cases, civil rights for LGBT people and more. In this election there are big differences between the candidates in all of these areas. I’m not going to try and tell you who to vote for. If you can vote, you’re an adult. Beyond that, although I’m speaking just for myself here, I don’t want to give the impression that LGBT-FAN as a group is supporting or opposing any candidate or party in this election. It’s not. What I’d like to do is highlight a few of the relevant differences between the two candidates who have a realistic chance of winning the election. I tried to do that by looking through their campaign websites, but that turned out to be impractical because while Hillary Clinton’s website includes a lot of detailed written content about policy issues, Donald Trump’s is filled with video snippets instead. I wasn’t able to figure out another way to give the candidates an equal say on the questions I would pose – they haven’t been returning my 3:00 am phone calls because I guess they are too busy with Twitter – so I’ll just list my questions for you to consider. If you’re reading this, you probably have a good sense of how the campaigns would respond to most of them already. If not, do a few internet searches to find out. 1. Asylum seekers come to the US because of persecution they face in their home countries. What have you already done to fight the persecution of LGBT people around the world? What would you do as President? 3. LGBT people and others are abused in immigrant detention facilities. Do you have a plan for ending that? What is your opinion of privately run prisons? What do you think about making alternatives to detention more available? 4. What are your priorities for appointing immigration and Supreme Court judges? 6. Which immigrant rights groups support you? How about LGBT groups? 7. Do LGBT people, immigrants, and people of color mostly support or oppose you, according to the polls? How do you explain that? Every election is “historic,” but this one is an especially big deal. Register! Vote! Tagged Advocacy, asylum, election, immigration, LGBT Asylum, US Presidential Campaign, Voting.